Dark chocolate and caramel have a special place in my heart. When I was a kid, I remember going to Wockenfuss Candy in Baltimore with my mom and being treated to their dark chocolate caramels. The buttery caramel would melt in my mouth, as the rich, dark chocolate shell cracked and coated my tongue. As I’ve made changes to my diet over the past five years, I’ve still maintained a bit of a sweet tooth. I’d be fine if I could never have chips or crackers again, but chocolate? I’d have a hard time with that one. In most restrictive, “diet and deprive,” calorie-counting approaches to eating, chocolate has been pushed to the periphery and isn’t something most of us think we “can” eat if we’re trying to be well. One of my goals in writing this blog is to share ideas for “upgrading” our diet to nourish our body and transform our lives. For me, chocolate – PURE chocolate – is an integral part of a nourishing diet. When it comes to chocolate, quality counts – all chocolate is not created equal. That’s what sets chocolate apart – the quality of the ingredients and how it’s made. 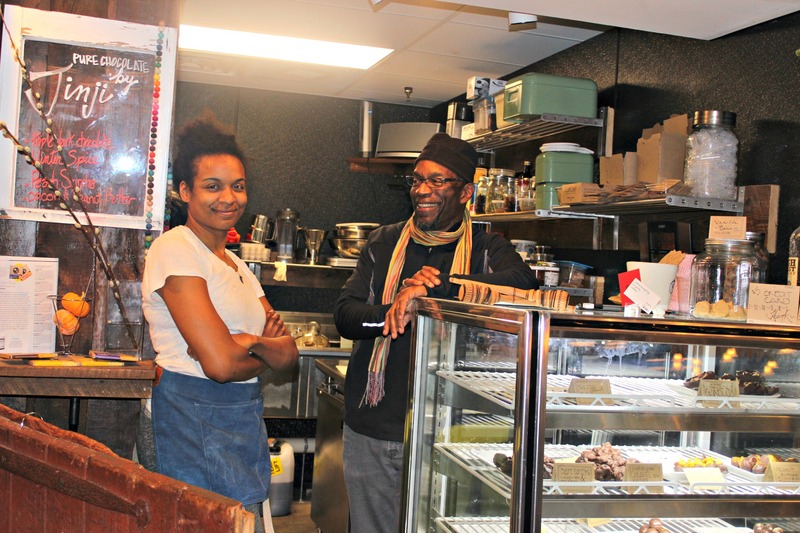 In the heart of Baltimore is one such chocolate maker, someone who pours her heart and soul into everything she creates. She’s an artist, a scientist and an inventor. She and her team lovingly and intentionally craft each piece of chocolate, and as one of her biggest fans, it makes a difference. 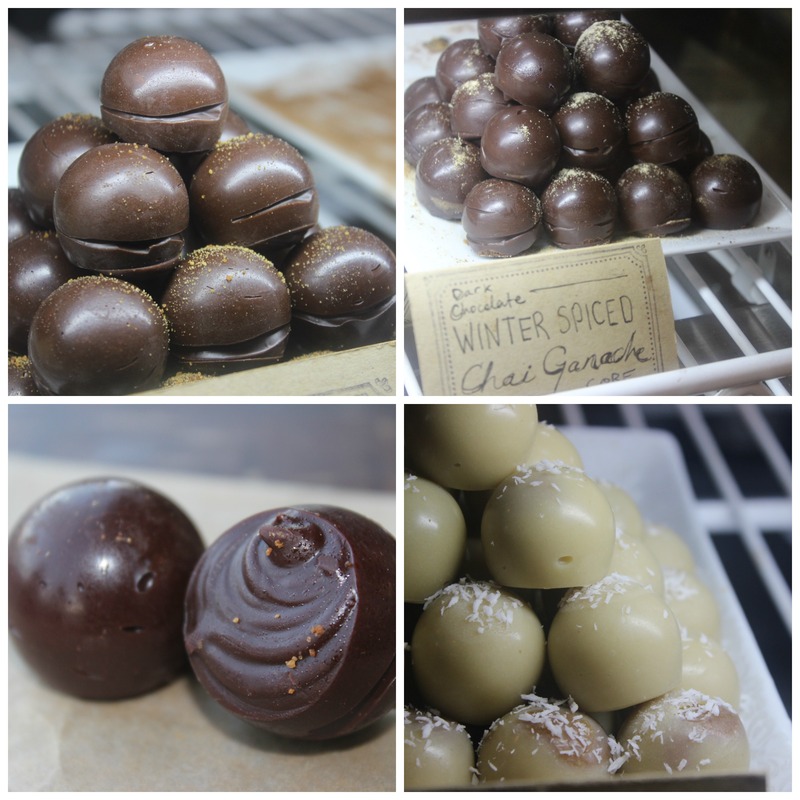 I first tasted Jinji’s decadent chocolates about a year ago on a trip to Belvedere Square – my favorite place to spend time in Baltimore. 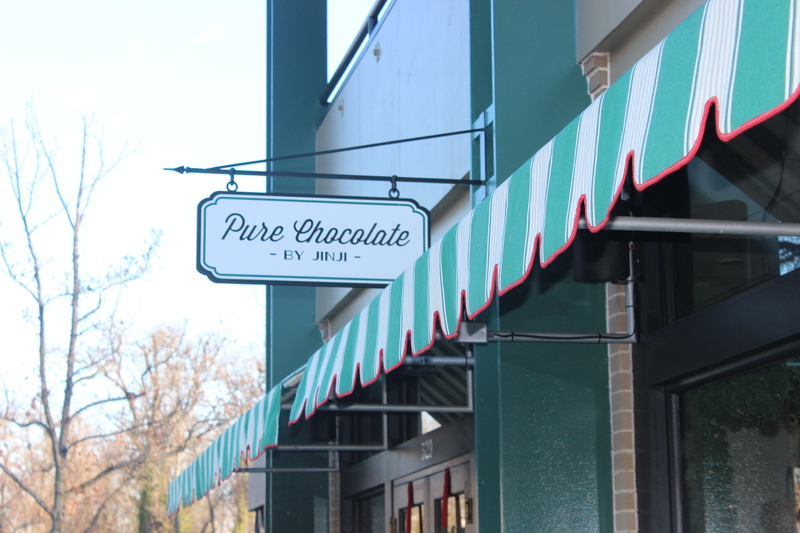 I was intrigued by the sign that read, “Pure Chocolate by Jinji” and grew even more curious as I saw some not so common flavor combinations: Chocolate Covered Date Poppers, Caramel Fudge, Hazelnut Fudge, Orange-Infused Truffles. I could tell something was different about these chocolates and the person behind the counter. 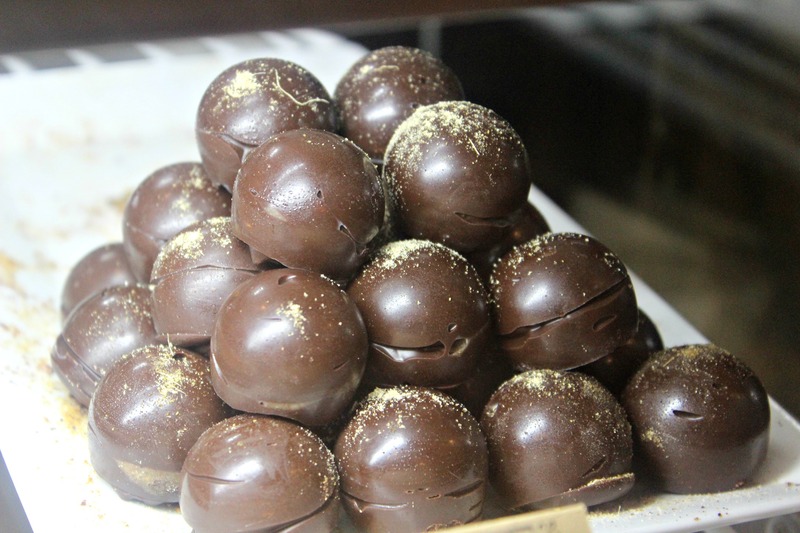 One day, I introduced myself and quickly connected to Jinji, the friendly, vibrant creator of these chocolate joys. We started talking about nutrition and food, and I soon learned that she graduated from the same health coach training program I completed in 2013. She had a passion for translating what she had learned about the health benefits of foods like raw cacao, coconut, fruits, herbs, and superfoods into an edible form. She grew animated and passionate as she talked about her chocolate and about food in general – how so many of us make food this bad and forbidden thing. And how we’ve given a bad name to something that can be so pure, beautifying, even nourishing. Over the past year or so, I’ve made many trips to Jinji, always open to trying her latest creations but also staying loyal to my favorite staples like the chocolate-dipped caramel fudge, chocolate-covered date poppers (Medjool dates stuffed with raw honey, crunchy cacao nibs, and a pinch of salt and then enrobed in a thick dark chocolate shell), and pecan turtles. 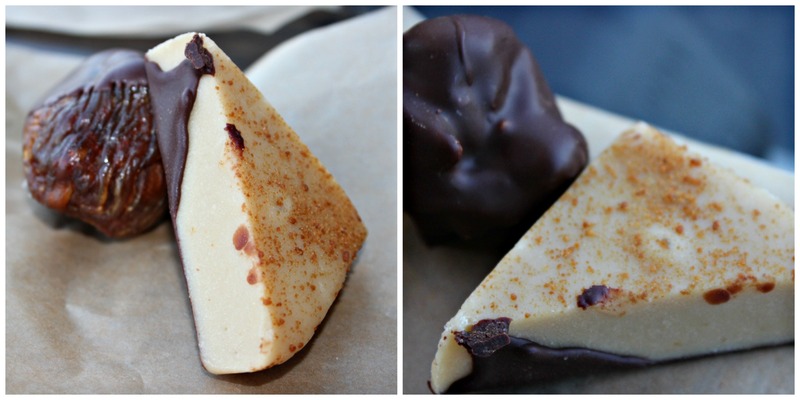 All of the chocolates are dairy-free, gluten-free and contain no refined sugar. They’re raw, which means all of the antioxidant, nourishing power of the chocolate and other ingredients are left intact. The quality of ingredients and low and slow nature of the process are what set Jinji’s chocolates apart. Every single piece is made by hand with the highest quality ingredients. If you’re a person concerned with purity in product, you’re getting the purest piece of chocolate you could possibly have. She knows exactly where everything comes from, including her beans, which are sourced from growers in Ecuador, who she first met at a chocolate show in Paris. I wanted to know who was growing our beans. I wanted to know that they were treated well. I wanted to know that it was a renewable resource in that area, that the ground was treated well. After “tasting every single thing that sweetens things,” Jinji opted for a three-sweetener flavor profile, including mesquite for smokiness, lucuma for fruitiness, and coconut blossom for sweetness. I asked her how she creates such a velvety, smooth texture to her chocolate. “Low and slow” was her response. They put their ingredients in a stone grinder for nearly 24 hours and then temper it (alternate raising and lowering the temperature) to try to “coax out all of the flavors, all of the textures, everything that it’s capable of, bringing it to its full potential” before they put it into any molds. The result? A rich and creamy, melt-in-your mouth bite bursting with flavor. My new favorite is the peanut butter stuffed figs dipped in dark chocolate. OH MY GOODNESS. You need to know about these figs. Already a fan of what she was creating, I wanted to learn more about Jinji, how she got her start, how she was trained, where her passion and inspirations come from, and what makes her chocolate so different, so special, so incredibly delicious. She was kind enough to sit down with me to share her story. After getting to know her and her chocolate better, I enjoy it even more than I did before! I’m going to share with you Jinji’s journey. It’s an incredible story and one that I hope will encourage you to imagine what’s possible in your life, to start paying attention to everything and be open to its purpose. 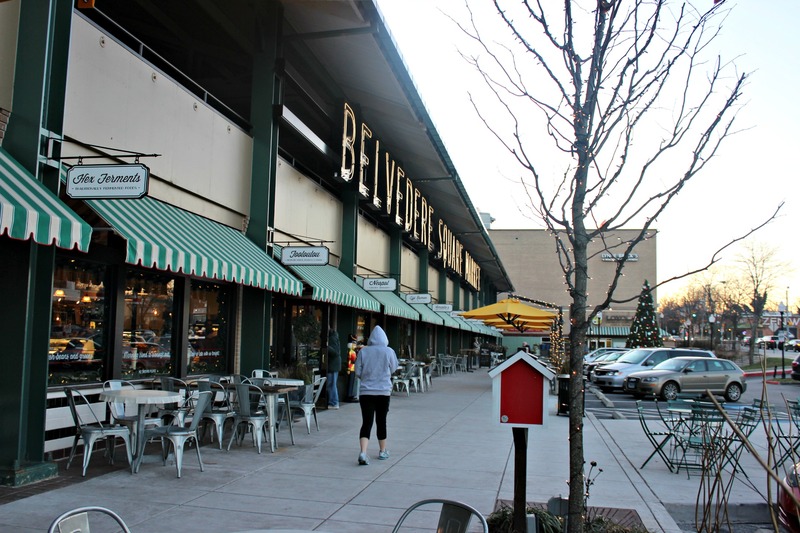 If you want to try Jinji’s chocolates, here’s where you can buy them in Maryland, Virginia and DC, but to get the best of the best, visit her shop at Belvedere Square Market. I’ve never been to Maryland but you’re making me want to go! That’s a great idea to have a healthy chocolate shop. We don’t get fresh figs in my town because it’s so rural so I’ve never tasted one, I’ve just tried the little dried ones from a package. I’m sure there’s no comparison. Her concoctions looks awesome! Awesome! You guys will LOVE it! 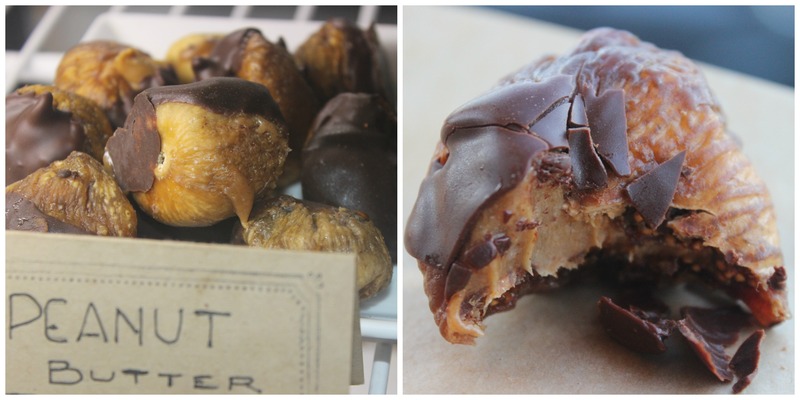 Try the PB stuffed figs…OMG. And the Date Poppers and Caramel Fudge are amazing, too…everything is SO good!